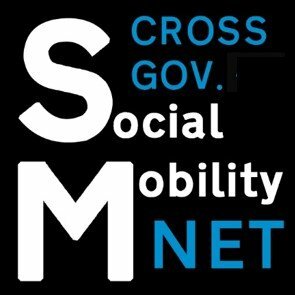 The Cross Government Social Mobility Network (CGSMN) has been launched with support from Sir Jeremy Heywood, Cabinet Secretary and Head of the Civil Service, John Manzoni, Chief Executive of the Civil Service, Jon Thompson, Chief Executive and Permanent Secretary of HM Revenue and Customs and Rupert McNeil, Civil Service Chief People Officer. This is part of the package for the refreshed talent action plan which looks at social mobility within the Civil Service. As such, the CGSMN Steering Group will be launching the ‘Northern Nexus’ later this Spring. The Northern Nexus is a Northern board made up of individual Department/Agency social mobility ambassadors who are based in the North, or the Department/Agency’s Northern representative. Members are Civil Servants with a keen interest in social mobility, who are able to voice the specific challenges that Civil Servants in this region face. The Northern Nexus is not intended to over-write or replace the existing social mobility activities an individual Department/Agency is offering, but instead offer a collaborative space for Departments/Agencies to work together to increase the offer for all Civil Servants in the North. The views of the Northern Nexus board members will be vital, as they will act as the Northern advisory to the Cross Government Social Mobility Steering Group. Once the Northern Nexus is established, it is hoped that it will be rolled out across other localities. If you are interested in applying, please send a short statement explaining: who you are and your interest in the role; the involvement you currently have in social mobility within your Department/Agency; and any other information which may be relevant. We look forward to hearing from you!